Ease all your team's burdens. 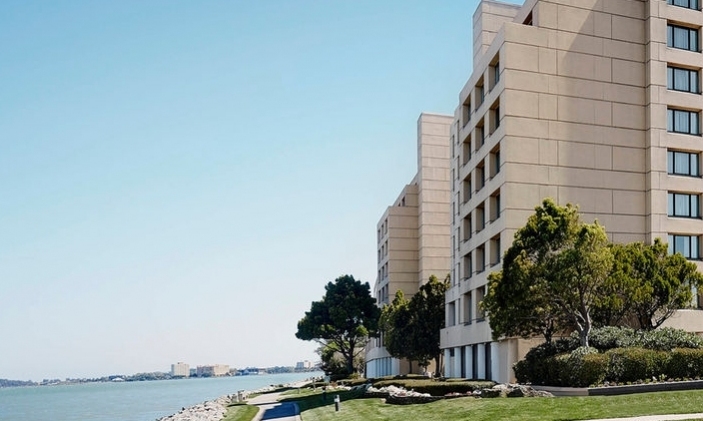 Used by clients in 23 countries to manage over $100b in assets. without all the needless reconciliation. Track investors, contacts, third-party representatives, and interactions. Model fund entities, closings, commitments, capital accounts, and transactions. Manage every aspect of your holdings, including portfolio companies or properties, securities, revaluations and shareholder tables. 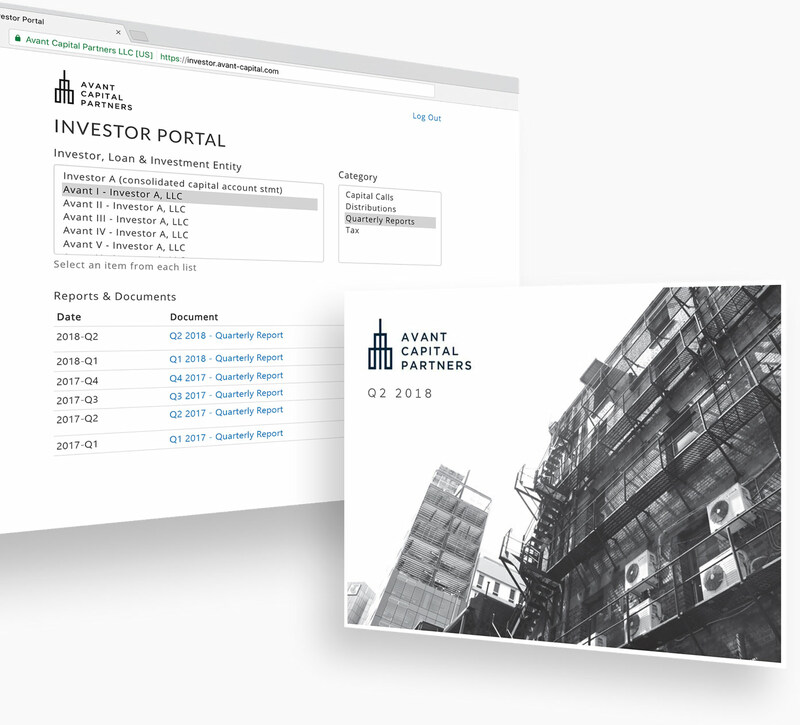 transparent quarterly reports from a secure portal. Issue detailed ILPA call and distribution letters, along with industry-standard quarterly reports. Give your LPs secure, 24/7 access to fund documents from their phones, tablets or everyday browsers. Expand your reach and conduct more efficient fund raising campaigns. Every year, hundreds of funds are raised with our software. Move prospective investors closer to their next fund commitment. Provide prompt responses to investor inquiries with our letter and report templates. and property investments from the first look through exit. 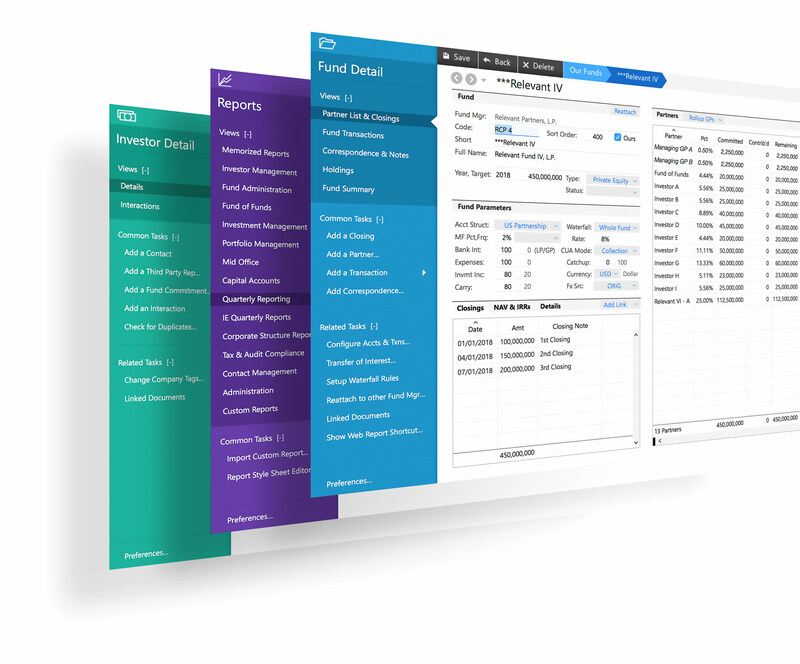 Record due diligence and manage your pipeline of investment opportunities. 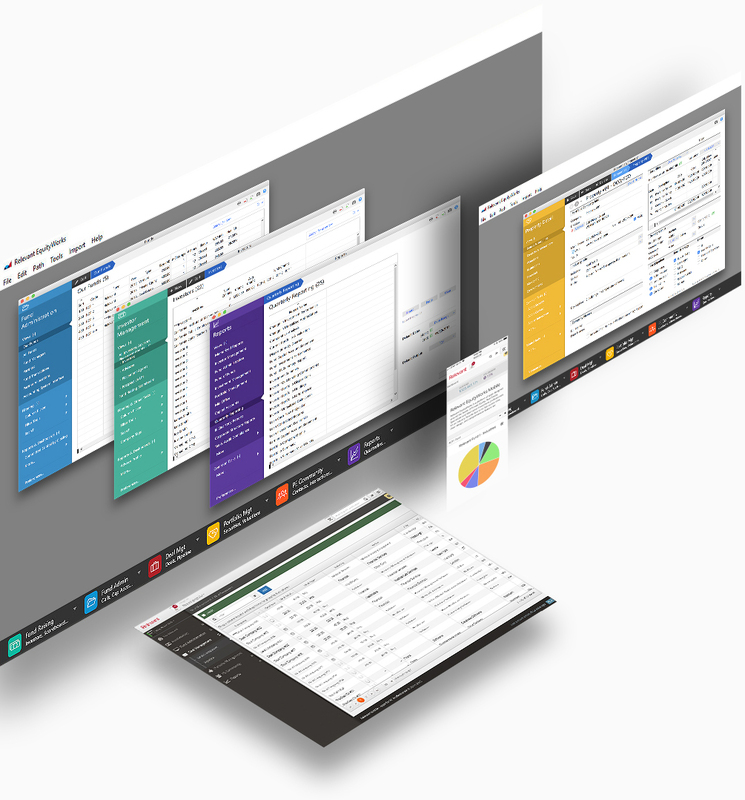 Manage every aspect of your holdings from securities used to pro-rata waterfall allocations. 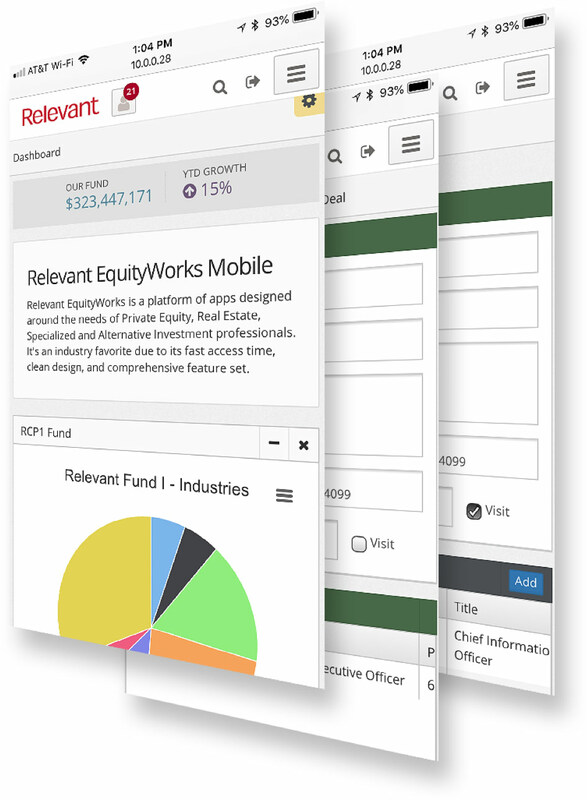 Upload financials and KPIs directly into your Relevant EquityWorks platform.